With all this talk about how to feed your dogs automatically especially when you are not home, it is now time to discuss the other end! If your situation is such that you can't always be home to let your dog out to relieve themselves, then there are other options. You can get indoor toilets for dogs or Pet toilet pads for all different sizes of pooches, and even dog grass. As I researched this subject for my own dog, I did discover some problems with having your dog relieve themselves indoors. It all depends on the personality of your pet as well. 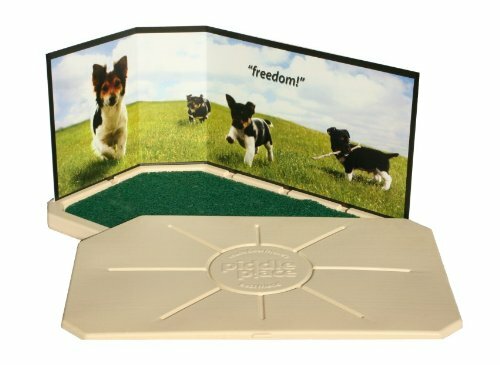 If you have a very active dog that loves to drag things around the house, then simply having a pad on the floor is not going to work. Many dogs will pee on it, but then drag it around the house, which is not something you want to come home to. The smell and sanitary conditions of these products is very important too. Nothing replaces taking your dog for a walk, but there are some very good products on the market that were designed by dog lovers like you! It is work checking out as a great alternative to having someone come into your home to let your dog out. 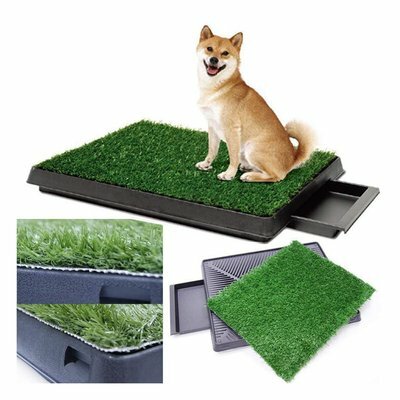 It is not hard to train your pooch to use this system as I would place it near a window or door and since it looks like grass they will understand what to do on it quite quickly. 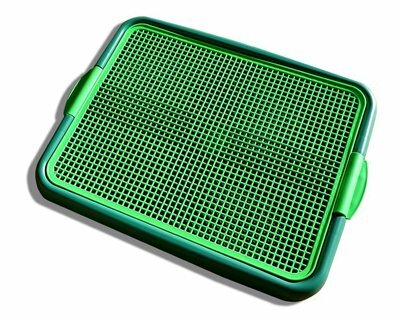 If you are leaving your dog alone while at work for 8 hours or more, then you should consider getting an automatic dog feeder and an indoor toilet for dogs or a pet toilet. This way your dog is not under stress if he or she needs to do their "business". It would be perfect to have these systems in place even for shorter days, because you never know if you may be held up at a meeting or if the weather stops you from getting home in time. Show your pet these systems, and you will be surprised how quickly they will catch on. Nothing replaces a good walk with your best buddy, but sometimes it can't be helped and at least this way you will not have to worry about them or your house!